The Queen Quandry – How to Throw a 70s themed 70th. As you get older, birthdays matter less and less. Your mother (or your grandmother) will be more concerned with your birthday than their own, but that’s no excuse to let something as impressive as a 70th birthday fall by the wayside without a big party. In decades gone by, your 69 year old will have had a million different experiences that you could draw upon to throw a nostalgia-ridden party, but picking a decade as iconic as the 70s is a fun choice that will be memorable even for people who hadn’t been born yet back then. The first thing you need to think about is the setting and decor. Plan ahead – a garden party will be spacious enough for all your family and friends, and hiring a marquee will allow you to take advantage of the fresh air and sun without being completely exposed to the elements. With a marquee, you won’t get rained out. Taking your party outside will offer the biggest range of options for decor too – you can start from scratch and build the perfect party. The 70s were known for funky colours and mismatched fashion. Decorate your marquee with a brightly coloured range of different flowers and feathers to emulate the era. Go retro – getting some groovy tablecloths and seat cushions will bring a lot of colour to your party without breaking the bank. Make it fun! Fringe and bright pinstripes will add a lot thematically and help pinpoint the decade for the guests. Keep in mind that children – especially young children – need to eat on their own schedule. No matter what you choose for food, make sure you have a lot of healthy snacks available throughout the duration of the party for your youngest visitors. Depending on the size of your party, it’s usually best to go with a series of hors d’oeuvres rather than a big meal. Olive, cheese, and salami skewers are an iconic 70s party food, and chips and dips are always a classic option. You’ll need a lot of tables and chairs. Between young grandkids and the elderly grandparents, many more of the typical guests of a 70th need good seating options than a run-of-the-mill 70s party. From Queen to Abba, Black Sabbath to Led Zeppelin… Whether you hire a DJ or set up your own sound system, there is an amazing range of great 70s tunes to choose from. Anyone who lived through the 70s will feel a wave of nostalgia at the familiarity of the classic guitar riffs, and even the kids will join in as you all sing along to Bohemian Rhapsody. What better opportunity to bust out one of your copies of Pink Floyd’s Dark Side Of The Moon? If you or one of your relatives has a vinyl collection, this party is the best time to show it off. Keep in mind the age range of your guests though – blasting music too loudly will be irritating to guests and neighbours alike, not to mention how hard it’ll make it to have a decent conversation. For a 70th, even one with an extravagant theme, the main activity of the party will be sitting, talking, and reminiscing. You can get almost anything Star Wars themed nowadays. Cups, serviettes, cutlery, and banners are easily available at local shops without even having to search online. Your 70s themed party won’t be complete without at least one reference to the iconic 1977 film. 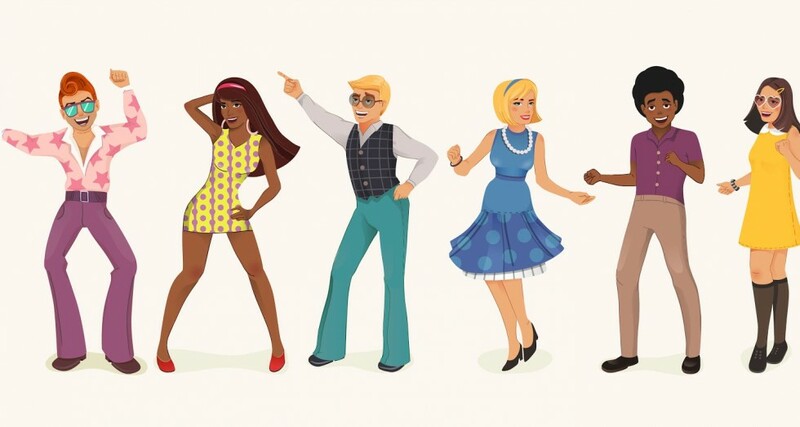 Follow these tips for your 70s themed 70th and you’re sure to have an extraordinary night. So don’t let your parent or grandparent talk you out of throwing them a party – all the fuss will be well worth it for the memories. If nothing else, the photos are sure to confuse descendants for years to come.